In 2016-17 Newrest started its activities with the NTPC contract in Laos. Neighbour of Thailand, Cambodia, Myanmar, Vietnam and China, this country represents a crossroads in the peninsula. One of the youngest countries in the world (with an average age of 22), Laos has committed to a series of major work to speed up its development, such as roads and railways. Most investment comes from China, Vietnam and Thailand and applies to tourism (hotels, catering, services), the mining sector (coal, zinc, copper) and a few major projects such as the Nam Theun 2 (NTPC) hydroelectric dam, for which EDF is one of the main partners. Our NTPC customer’s hydroelectric dam project is the largest in South East Asia. The site is relatively isolated, 7 hours away from the capital Vientiane. NTPS employees work as engineers, technicians and administrators and for the development of the region’s populations. In all there are 350 people across 3 sites: RNT main site (administration and residences), RO site dedicated to sustainable development and the Power House which since July 2017 have been bene ting from the range of services proposed by Newrest Laos 125-people team: catering, laundry, gardening, events at the different sites and even pizza delivery! Newrest Laos has introduced English classes for all its employees to improve in-house communication and communication with the customer. 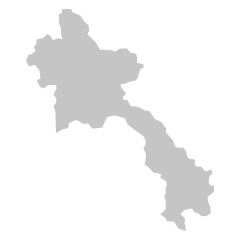 88 % come from neighbouring villages (Khammouane Province) and 96 % of Newrest Laos employees are Lao. The subsidiary is currently studying the feasibility of using certain certified organic producers to support local activity. Newrest Lao team is proud to announce the signature of a new contract with Xayaburi Power Company Limited (XPCL). Newrest challenges 7 teams in a Futsal tournament at Laos. This new service provided by teams of Newrest Lao started on December 8th, 2017, delivering 7 days a week our customers onsite.